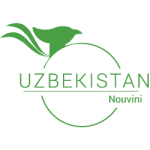 Uzbekistan is also known for adventure tourism. 60 km from the capital Tashkent, is the Bostanlyk area where you can do horse riding, mountain climbing, cycling and trekking. It’s consisting heat throughout the year in this area is ideal to live the adventure. You can also go to Chimgan which is 80 km from Tashkent. You will be delighted to see the picturesque canyons, waterfalls and gorges of the river Karaarcha. In summer you can go trekking and mountaineering. For winter sports enthusiasts, you will find the best ski resorts in Chimgan and Berldersay. The snow is dry and cold, ideal for skiing.